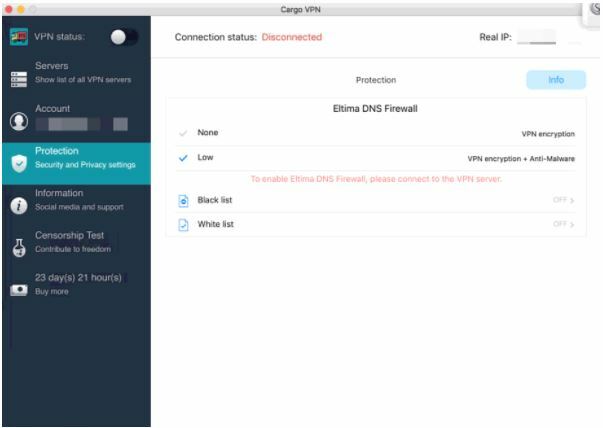 Cargo VPN is one of the lesser-known niche VPNs from a US-based Eltima Software. It’s niche because it only caters to Mac/iOS devices, but their package includes 1000 servers in 70 locations, up to five simultaneous connections, and a few perks for an additional price. Cargo VPN is tricky and tricky is not a compliment in the VPN world. Its iTunes page claims the VPN offers a 24-hour free trial, which I was never able to try. The trial version started by displaying 23 hours something-minutes, but just when I thought I had 23 hours left, it turned out the trial expired. Their support didn’t offer a solution. Buy it or leave it. Their paid plans come in three flavors – a monthly subscription will set you off $9.99. Their yearly plan is $49.99, but you can have three years worth of Cargo VPN for $99.99. All subscriptions are auto-renewable by default, and understandably, you pay via iTunes. Eltima’s Refund Policy is jam-packed with clauses that cover situations when you are not eligible for a refund, and it’s not clear if it applies to their VPN at all. You can’t pay with Bitcoin, and your download is directly tied to your Apple ID. With all of the above in mind, Cargo VPN doesn’t meet the basic standards of a VPN designed for private browsing since you’ll be leaving quite a few digital footprints. 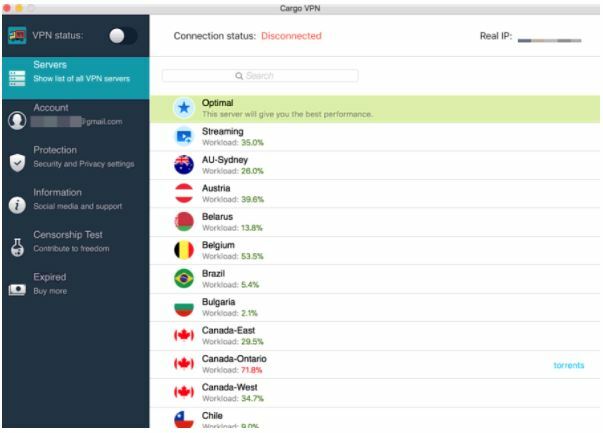 It’s worth mentioning Cargo VPN appears to be a dealer of KeepSolid VPN, offering identical VPN client, servers, and monthly rate, but a significantly poorer user experience. 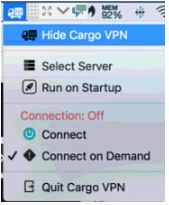 Cargo VPN is only available as a native application for Mac and iOS devices. There is no way to use it with OpenVPN’s open-source solution. The app itself is straightforward. The right-side panel offers tabs, where you can access the list of servers, your account information, privacy and security settings, your license expiration date, censorship test, and social media profiles of Eltima Software. Overall, the usability is geared toward novice users. Where Cargo VPN really falls short is their slow and frustrating customer service. I contacted them on several occasions. I had a few technical questions I wanted answered before installing the VPN. 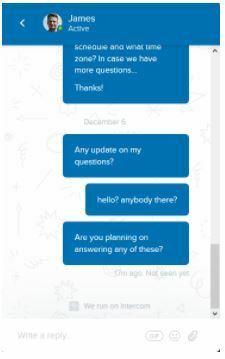 Their website features a live support chat, but I got nothing but “How can we help you?” Someone took the trouble to answer my query after ten days. On top of that, the FAQs section is hard to find and scarce. The next time my issue was massive – the VPN refused to work even though the payment went through. As a registered and paid user, expect to wait for at least 48 hours to get a reply. Notably, KeepSolid VPN support takes over technical issues – not Cargo VPN or Eltima. Long response times in some cases and dead silence in others translate into an aggravating customer experience. Cargo VPN comes with a wealth of servers, and the list offers useful information about the load each server is experiencing at any given moment. The privacy and security settings are limited to a few toggles – VPN encryption level and black and white lists for its DNS Firewall. The low level of encryption covers VPN encryption + Anti-malware, which enables the VPN to filter malicious URLs and websites that try to steal your data. The higher level of protection bundles a DNS firewall, so you can effectively block web tracking systems from the likes of Google Analytics. The censorship test is just a way for the provider to test-drive your local Internet censorship levels. On the bright side, one license allows up to five devices. For an additional fee, you can order a personal static IP, a personal server, and additional slots for more devices. 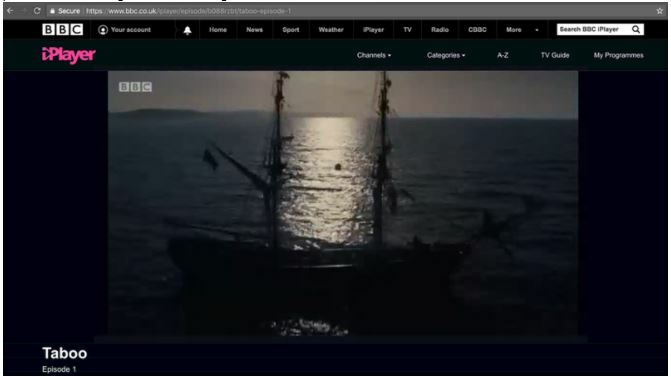 Torrenting and P2P file-sharing are allowed on some servers. It’s worth noting not all torrents-optimized servers are located in countries with lax anti-piracy laws (Canada, France). If P2P is on your mind, read their ToS because each server is under the jurisdiction of a host country. A little digging revealed KeepSolid does offer a dealership pack. I also revisited my KeepSolid VPN review and realized the two apps – Cargo VPN and KeepSolid VPN – are identical twins. The monthly rate is identical for both - $9.99. The difference is Cargo VPN only supports Mac/iOS and offers no tech support of their own. 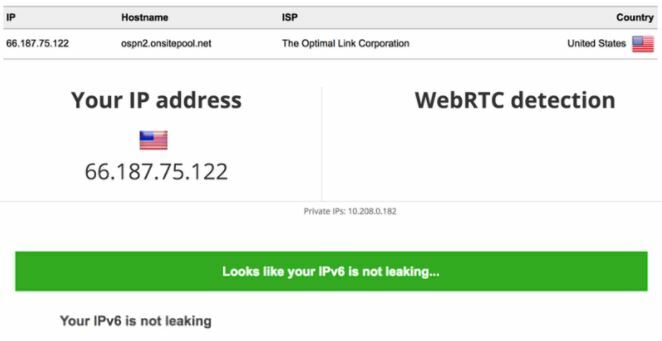 Cargo VPN offers 256-bit encryption and supports PPTP, IP2Sec, and OpenVPN, but it appears that only active users can access the information about the selection of protocols from within the app – the website does a poor job of introducing the specs. With the DNS Firewall, but no kill switch, Cargo VPN is average in security. I find it counter-intuitive and off-putting how the provider hides the list of servers from anyone but the users. There is nowhere you can find the list of servers, except from within the app – why the secrecy? Eltima Software has several sets of Terms of Service (ToS) and Privacy Policies (PP), and finding the ones pertinent to Cargo VPN is best achieved from within the VPN app (that trick again!). Cargo VPN ToS and PP are short but uninspiring. The provider collects your username, password, and email. When you purchase a subscription, the company also collects your payment information (credit card number, Apple ID). Eltima Software assures it doesn’t collect your activity logs, but logs your session data – the amount of web traffic for each session, and session dates. The provider also stores an encrypted log about the number of connected devices per account. The VPN app itself collects connection times, encryption type, device type, user ID, and such, and the provider may ask for these details for troubleshooting, introducing system improvements, and improving the user experience. The app also logs user clicks made to the software itself. It’s clear the provider specifically asks you for this information when troubleshooting, but it’s not clear how they obtain these logs for the “improvement” purposes. So, the number of jurisdictions and laws that apply when you use Cargo VPN equals the number of countries where their VPN servers are located. Considering Eltima Software is based in the US, the current ToS and the provider’s stance on user privacy are extremely prohibitive. I do not recommend Cargo VPN if you are looking for a privacy-focused service. 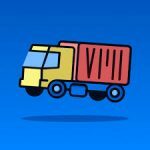 Cargo VPN might have a decent server coverage and offer just about average performance, but their ungodly customer service, software restricted to one OS, and privacy policies are topped with above-average prices. It’s meh at best, but often quite frustrating. I can’t recommend it.